It’s funny, I have some customers who are just wedge fanatics who need the most unique custom wedge there is, and then I have some who could care less other than when they realize that they left their wedge in the bunker 4 holes back. Personally, I’m a wedge guy so I’m excited to offer some real treats this year. 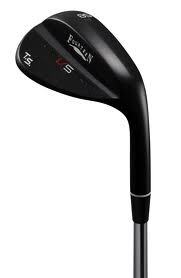 Ranging from the 100% custom “designed by you” wedge to the fine quality overall wedge that won’t break the bank. We will have a great selection going into 2014. 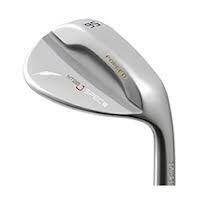 Please note we don’t do cast, we only offer and build the finest in forged wedges. The MP-T12™ was designed with input from Luke Donald and other Mizuno Staff Members to be the most versatile high-spin wedge on the market. For the ultimate in feel where it counts, the MP-T4 wedges are Grain Flow Forged® from 1025E “Pure Select” mild carbon steel. Mizuno’s high-spin Quad Cut Grooves combine with the innovative ‘DG Spinner’ shaft to maximize spin for ball stopping power. A newly designed and more playable sole features aggressive heel and toe relief for consistent shot making from any lie. For the player that prefers a teardrop head shape, the MP-T4™ is the perfect scoring weapon. QUAD CUT GROOVES, a CNC Milled face, and DG Spinner shaft deliver maximum spin and ball stopping power. Patented Grain Flow Forged® 1025E “Pure Select” mild carbon steel for superior soft, solid, and consistent feel. Exotic White Satin Chrome and Black Nickel finishes.